Key to any First Aid Box, our Crepe Bandage 7.5cm x 4.5cm offers sufficient coverage of all manner of wounds and injuries. Suitable for use in emergency first aid including workplace accidents, this lightweight bandage can also be fashioned to provide light support to strains and sprains. Use to support the injured arm following injuries sustained during sport or compress the dressing over open wounds for a protective seal until healed. 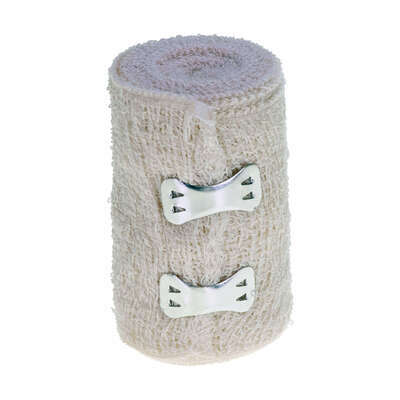 The crepe bandage can easily be washed and reused a number of times with its high-quality construction and comes individually wrapped for optimal hygiene. Take a browse through our First Aid & Medical category and you'll find all the resources you need to be ready for any accident including our Plasters, Creams & Medicines and even Medical Thermometers.